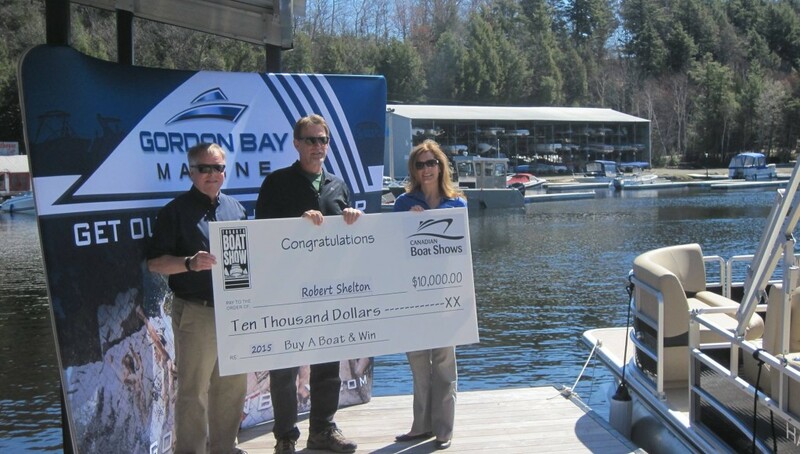 Bob Shelton of Newmarket, Ontario was presented with a $10,000 dollar prize last week at Gordon Bay Marine in MacTier, Ontario. 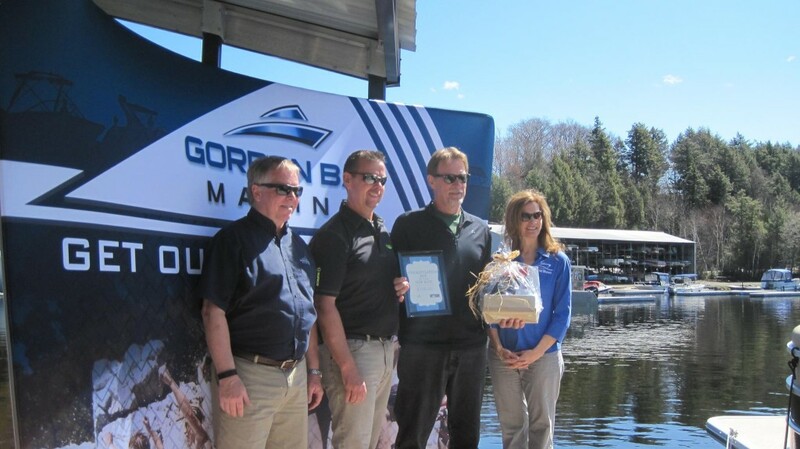 The award was presented by Canadian Boat Shows’ Cynthia Hare. Bob purchased an 18’ Harris Omni from Craig Murray of Gordon Bay Marine at the Toronto International Boat Show. Anyone who bought a boat at the January show was eligible to enter a ballot in the $10,000 “BUY a Boat & WIN” contest.